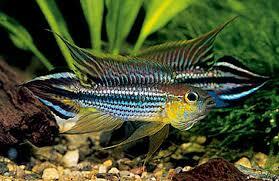 Stocking your aquarium looking for ideas? 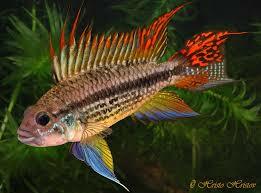 Are you bored with your aquarium set up? Tired of the same old fish? Are you looking for something different maybe even a little more colourful? The list of fish available for the aquarium hobby is mind boggling…..literally thousands and thousands of fish to choose from. 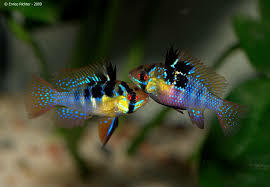 Decent temperament, they like planted aquariums that give them plenty of places to hide and invariably if you provide one or two females they are relatively easy to breed. 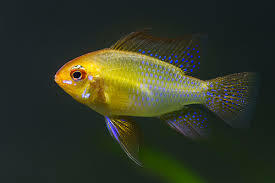 A lot of the apistos found in the hobby are from captive bred sources so water quality is not as much of an issue, Ph 7 most will do well in, if your water is too hard remember we give away suitable water absolutely free of charge so make sure you ask next time you are in store. 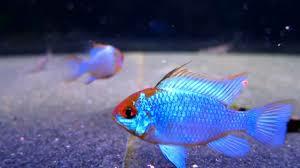 Another favourite in the hobby with similar requirements is the German blue ram. Take a look stunning isn’t it? 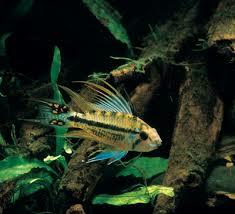 The others are the gold ram and the electric blue ram. 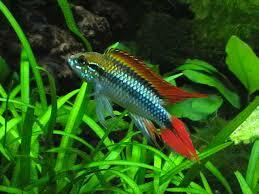 These are easy fish to keep trust me the problem is they are not your typical pet shop fish but you will find them in shops that specialize in fish like ourselves, and they make wonderful additions to your aquarium. If you are a little unsure as to the suitability for your aquarium why not email us and tell us what you have and we may be able to help you broaden your collection…..remember asking is the way forward and we are always delighted to help. 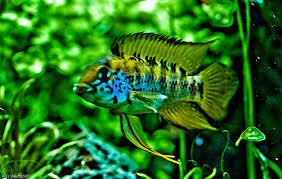 Cichlids as a whole is a very under appreciated genre of fish and no they are not all inherently aggressive……but people and misinformation have a way of tarring things much to the individuals losing out, the right fish in the right tank is the more obvious answer so that is where we can help. We are the longest in the trade and our mission is to dispel rumor and innuendo in relation to fish keeping, do not be afraid to try something new just because shops cannot get them or else it is outside their expertise remember these fish exist and once they exist they have a part to play in the hobby its up to us to make sure they are cared for. Their are care sheets available throughout the internet but the best way of learning is to call in to our store and find out first hand. I will be doing little intros like this as often as i can just to broaden horizons a little, hopefully you might find this helpful we may broaden the subject a little in the days to come as to care etc so be patient with us.